What are Clean Devices in Mobile Fraud? In the world of mobile fraud, Clean Devices are devices that have a significant engagement profile that does not include fraudulent clicks, installs or engagement. DeviceRank™ identifies these devices as clean using automated machine learning that analyzes over a dozen points of anonymized metadata, across tens of thousands of apps and billions of mobile data points. Any devices with a DeviceRank™ rating of A, AA and AAA are designated as clean. 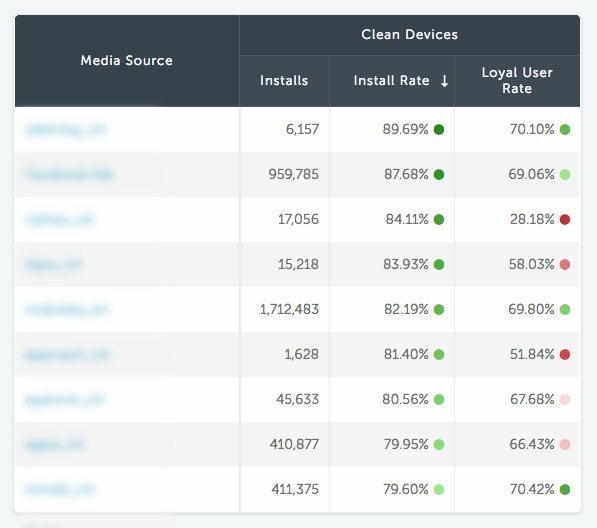 Marketers using Protect360 can easily track which media sources are sending large numbers or high concentrations of clean devices.